In this course, Jim uses case studies to show you how to cut your diagnostic time and improve your accuracy by using amperage waveforms captured with your DSO and low-amp current probe to monitor electrical current through wires. He explains how to analyze input sensors like the O2 sensor and primary and secondary ignition. AVI can help every tech in your shop analyze and diagnose most vehicles in 15 minutes or less? Want to know how? This program with the “Injector Guru” Jim Linder will explain it. Jim provides test procedures for GM, Ford TFI systems, Hall effects, and other OBD II systems such as the optical switching system. 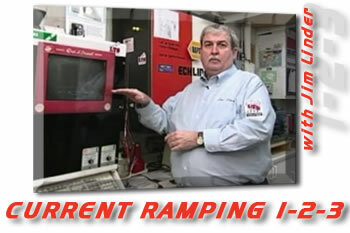 He also helps you analyze several fuel systems including: TBI, PFI, SFI, MFI, and many imports.